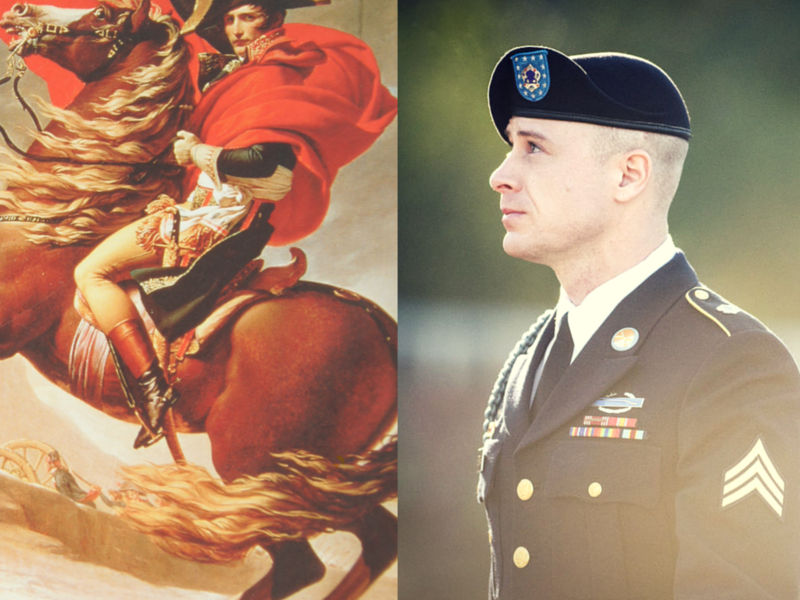 Bowe Bergdahl: I was trying to prove to myself—I was trying to prove to the world, to anybody who used to know me—that I was capable of being that person. Mark Boal: Like a super-soldier, you mean. Bowe Bergdahl: like I don’t know, Jason Bourne. Mark Boal: Right. A character in a book or whatever. A character. Since his release two years ago, the question hovering over Bowe Bergdahl, the American soldier who voluntarily walked off his army base in Afghanistan in 2009, has been “why.” Why would a private in the U.S. army walk straight into Taliban country with nothing more than a compass? Almost immediately after the announcement that Bowe would be coming home after spending four years of being held captive by the Taliban, conspiracy theories began to go viral. Most of the speculation largely coalesced around the fear that Bowe was a traitor. He was accused of being a Taliban sympathizer, referred to as the “Manchurian POW,” and many have likened him to the character Nicholas Brody (Damian Lewis) from the Showtime Series Homeland, a American POW turned Al-Qaeda operative. However, it wasn’t the silver screen that Bowe had in mind when he hatched his plan—he was thinking more blockbuster movie franchise. In the first episode of Season 2 of “Serial,” the wildly popular podcast hosted by Sarah Koenig, Bowe reveals to Mark Boal (writer/producer of the Oscar winning Iraq War film The Hurt Locker), who was interviewing him for a potential film, that he wanted to show the world that he could be a real-life Jason Bourne, telling him: “You know, all those guys out there who go to the movies and watch those movies, they all want to be that. But I wanted to prove that I was that.” The process of “proving” this involved instigating what’s called a “DUSTWUN.” That stands for “duty status whereabouts unknown;” it’s a military code indicating that a soldier has gone missing. The DUSTWUN sets off a chain of high alerts that reach top military brass and the CIA, among other cloak and dagger concerned parties. Bowe’s plan was that he would reappear after the DUSTWUN, receive an audience with a general, and use that as his chance to report what he perceived to be incompetence among his military commanders, an incompetence he said was putting the lives of his fellow soldiers in danger. The incompetence Bowe refers to is under dispute; Koenig has interviewed several men who served alongside Bowe in Afghanistan who saw no problem with their commanding officers, and certainly did not perceive any immediate threats beyond what could be expected from a war against the Taliban. However, one thing that was not under dispute was that Bowe seemed to many around him to be totally unsatisfied with reality. Shane Cross, a friend of Bowe’s from the army, said that Bowe seemed disappointed when he arrived at the army base in Afghanistan. When Koenig asks why, Cross tells her that Bowe found it all too cushy: “I think that was a little disappointing to him. He wanted…like I said, he wanted hardship. He wanted more what you would have seen in the movies. I mean, he wouldn’t sleep on his mattress. He flipped his mattress off his bed, and he slept on the springs that were underneath it.” Koenig says that indeed, in his interviews with Mark Boal, Bergdahl admitted to wanting a “movie version” of the military. He tells Boal: “Yeah, I wanted that adventure. I wanted that action. I wanted that moment of adrenaline. I wanted that moment of, you know…of, uh, contact, you know? Getting in gunfights and being a soldier that, you know, gets in firefights, gets…you know, goes around in armored trucks.” The revelations that are emerging from the Serial podcast have to be maddening to critics of Bowe’s release. I mean—is this what the U.S. released four top-ranking Taliban officials from Guantanamo in exchange for? A Jason Bourne fantasy? Perhaps a desire to quell that anger is behind attempts by Bowe’s supporters to attribute his delusions of movie grandeur to mental illness. In May of 2015, Bowe’s defense team requested a “706 sanitary board”—essentially a mental health test, to ascertain what Bowe’s state of mind was when he walked off his army base. The diagnosis was “Schizotypal personality disorder.” Michael Valdovinos, a psychologist familiar with Bowe who was interviewed by Koenig for the podcast, said this disorder, which comes with paranoid tendencies, could absolutely explain Bowe’s detachment from reality, namely his longing for the movie version of war: “When you start thinking about the idea of him being Jason Bourne, and, you know, him doing special operations, it sort of fed into that whole narrative—that, you know, I’m going to be able to do this, I’m going to go and bring the help.” But is a dissatisfaction with the realities of daily life, and a longing for worlds like the ones we know from movies and books really a form of mental illness? Or is it the sanest thing in the world? It is important to note however that Nicholas’ war fantasy had none of the lone wolf, morally driven vigilantism of Bowe’s DUSTWUN. If anything, Nicholas’ understanding of heroism had a lot to do with conformity, with adhering to certain norms that he believed the whole of male society lived by. Writing for Slate, James Parker argues that contemporary audiences favor heroes like Jason Bourne whose “mission is the essential human mission—to find out who the hell he is.” And indeed—Bowe’s fantasy is one in which war facilitates a kind of self-making. Whereas Nicholas imagined the battlefield as the place where he would become part of something bigger (if not necessarily greater) than himself, Bowe’s fantasy was to stand apart and assert his individuality against a corrupt system. Just moments (2 or so pages) later, she puts down the novel, overwhelmed with feeling, and steps off the train into the middle of a snowstorm. Just then, she turns around to see Vronsky, who has followed her from Moscow to Petersburg “to be where she was.” Just like that, under the spell of literature, her destiny is sealed. As Bowe’s life enters a period of deep uncertainty (hecould be sentenced to life in prison by court-martial), his predicament, which was so spurned on by popular narratives, has become one. He is now the story we tune into every other week to hear about on “Serial,” though fortunately, Koenig is more of a Tolstoy than the screenwriter behind the Bourne series—she reports on Bowe’s desertion and the war in Afghanistan as the confounding messes they are. Mark Boal and his filmmaking partner Kathryn Bigelow (the Oscar winning director of The Hurt Locker and Zero Dark Thirty) were planning on making their next movie about Bowe, thus Boal’s involvement with “Serial,” but the director-writer team have shelved Bowe’s story for the time being, and instead will focus on the 1967 race riots in Detroit. Still, it would have been something to see Bowe’s life, so changed forever by the power of Hollywood, projected onto very same big screen that led him off that army base in Afghanistan. Maybe Matt Damon could have played him. Jennifer Wilson specializes in Russian literature of the 19th century with an emphasis on the nexus of sexuality and radical political thought. She is a Postdoctoral Fellow for Academic Diversity in the Department of Slavic Languages and Literatures at the University of Pennsylvania.